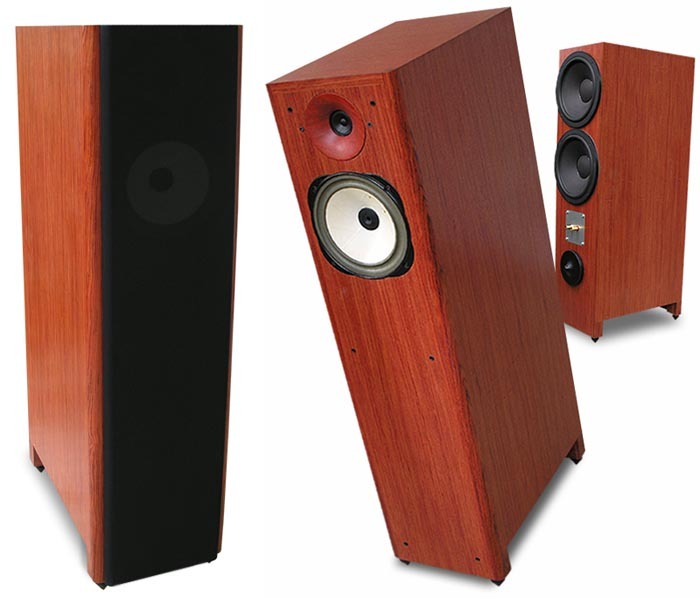 In June of 2004 I reviewed the Third Rethm loudspeakers and the experience left quite a mark. Never before had I experienced a midrange like that. Never had I experienced a speaker designed around a Lowther driver. In some respects, I was an instant fan. In others, less so. As good a job as Rethm did of reducing the infamous Lowther shout --- an upper midrange peak in the driver's frequency response -- it hadn't been subdued completely. Sometimes the Rethm could get rather rough sounding. Subjectively, the speaker didn't sound muted or rounded in the treble but its tweeterless design meant that it would occasionally omit treble details I knew to exist. Deep and mid bass were non-existent. Balancing all that, however, was that glorious midrange clarity, that truth and immediacy I'd never heard before. Ultimately, the Rethm wasn't for me but it whetted my appetite for other Lowther designs. 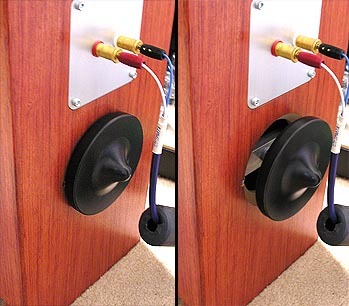 Very shortly thereafter, another high efficiency speaker designed around a Lowther driver caught my attention. This time the design was said to completely eradicate that Lowther shout, not just minimize it. As it turns out, the Hørning Perikles Ultimate loudspeakers more than lived up to that promise and I bought a pair. Though I've lived with them for two years, I've not had occasion to write about them as my attentions have detoured away from the high-efficiency/low power scenario for a bit. When I was made aware that the SilverTone Audio 3.2 amplifier, a stereo amplifier utilizing the 300B tube that Srajan covered in his December 2005 review had undergone an update and revoicing, I seized the opportunity to bring in the amplifier for a follow-up review. The SilverTone is imported and distributed in the US by Jeffrey Catalano of Highwater Sound, who also is the importer of the Hørning line. When he mentioned that the SilverTone just happened to be a very synergistic compliment to my own Hørning Perikles Ultimates, I figured that the timing was probably right to pen a few words about them as well. 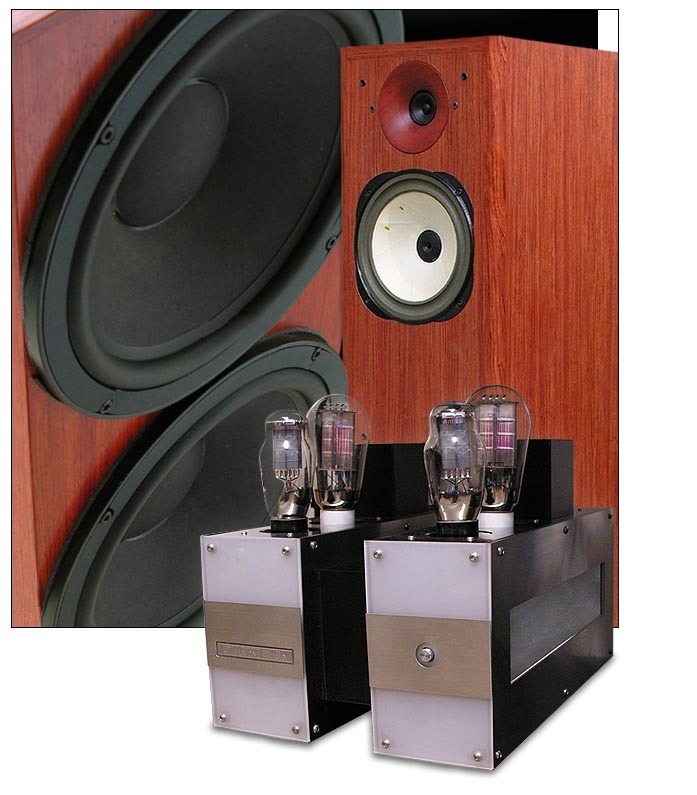 So consider the following a brief follow-up to Srajan's extensive review on the SilverTone 3.2 amplifier and a fuller discussion on the Hørning Perikles Ultimate loudspeakers. First up, the Hørnings. By no means would I suggest that you look them up now but there are already two very good reviews of Hørning loudspeakers on the net. In July of 2000, Thorsten Loesch penned a review of an earlier version of the Perikles. Last year Marshall Nack wrote a comprehensive review of the Perikles' larger sibling, the Agathon. He did a superb job and I highly recommend reading it as much of what he says applies to the Perikles and it even helped me to get to know my own Perikles, which is a complicated loudspeaker - and a fairly misunderstood one. But let's start at the beginning. 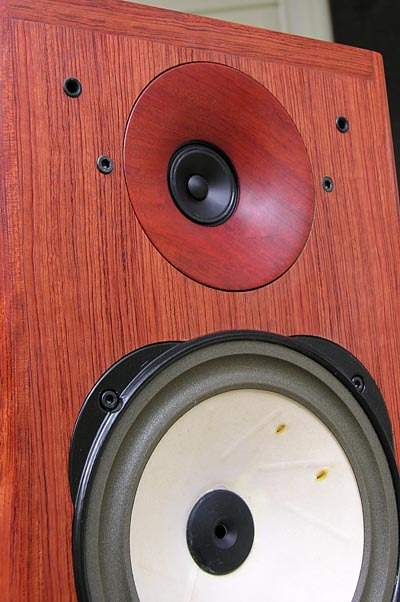 Tommy Hørning began loudspeaker design back in the very late 1970s with the custom building and design of very large and full-range hornloaded speakers. Large? Indeed, some as large as 10 tons with horns that started out in the garden to culminate in a mouth inside the living room with a diameter of 2.2 meters. In the beginning, he used a special ceramic composition based on plaster of Paris for a short front horn and a large basshorn in a system that sold in large numbers in Denmark. In the late 1980s, Tommy Hørning worked in cooperation with Audio Note of Japan now known as Kondo, not the British company of the same name. This transition period made possible the ground work for the development of the Agathon loudspeaker which started selling in relatively large numbers in 1993 throughout the UK, with the support of wide critical acclaim in the Danish, Norwegian and British magazines. The Agathon was further refined to Mk 2, Mk 3 and eventually Mk 4 status just as the larger Alkibiades was coming into being and it joined the Agathon in a market that was expanding though the Far East and Germany. Eventually the Perikles and the Zeus loudspeakers joined the lineup. Incidentally, all of Hørning's speakers bear the names found within Plato's Symposium, which Tommy Hørning read while in pursuit of his doctorate in Psychology at the University of Aarhus in Denmark. In 1999 Hørning products finally made it to the US shores upon the back of a review in The Absolute Sound where the Alkibiades was granted both raves and a Golden Ear award and soon caught the attention of Jeffrey Catalano. Since then the aforementioned lineup has expanded to include the Aristoteles and the Eufrodite (built around the Lowther DX45 and DX 55 drivers) and I'm told that a new Agalme is under way utilizing the DX55. Standing 41 inches tall, 13 inches wide and 19 inches deep, the 66-pound Perikles sits four speakers from the top of the Hørning line. Armed with a sensitivity of 96dB, an impedance of between 6 and 8 ohms and an amplifier recommendation of between 5 and 100 watts, the Perikles is as friendly to amplifiers as it is to room decor. However -- and this is a point I'll cover in more detail anon -- Hørning recommends corner placement within that room. Hørning-specified frequency response is stated as 40Hz to 20kHz, no tolerance given. Incidentally, the cone feet pictured on the Perikles are Viablue QTC spikes which do not come with the speakers. The Perikles come with adjustable feet outfitted with a flat plastic base suited for both bare floor and carpet applications. What makes the Hørning speakers different from products from any other company employing the Lowther drivers is that Hørning uses this normally 'full-range' driver as a midrange only. Hørning goes so far as to remove the whizzer cones from all the Lowther drivers, which physically restricts the driver's upper reach. In doing so he also eradicates the infamous and aforementioned Lowther shout. That's right, I didn't say reduce it, I said eradicate it. Gone, vanished. What's left behind is one of the cleanest, most musically transparent and articulate midrange drivers extant. Of course, with the whizzer went all reference to high frequencies so Hørning turned to an odd-looking tweeter of his own design for the honors. The Hørning tweeter's appearance not only belies its technology while never hinting as its high level of performance, frankly, it looks cheap. It presents the appearance of a miniaturized version of the cone you'd find inside a cheap transistor pocket radio if they were still made today. Of course, in operation the tweeter proved to be anything but. The rear-firing Beyma woofers are also a Tommy Hørning specified design, which means that they are very different from what you'd expect. Though large, these woofers have very limited excursion as speed and articulation are the orders of the day here. Remember, these woofers have to produce the signal with both speed and micro dynamics to meld with the Lowther driver. No easy task. On the rear my Perikles provides a single set of high quality Cardas binding posts (current production get two pairs as mentioned earlier) and the speaker's key to success or failure in your room, their Acoustic Variator. The Variator is also the key to the Hørnings being so misunderstood. The Variator is a very simple appliance yet its effect on the performance of the Perikles is profound and cannot be overstated. If you've heard the Perikles at a show and they sounded good, thank someone's expertise with the Variator. If you've heard the Perikles sound less than coherent -- if you heard weak, lumpy or disconnected bass -- primary blame likely goes to someone's mishandling and misunderstanding of the Variator. of what's going on, it can complicate setup. First, as the rearward venting increases with the Variator opened up, the amount of rearward radiation (the Beyma woofers contribute a large amount of rearward midrange propagation on their own), image specificity and soundstage height, width and depth are all affected as the mix of direct and reflected radiation is altered. At the same time as you would logically predict, bass output both in terms of quality and quantity is altered. Now, the object is to balance the speaker's position within the room against the effects of opening and closing the Variator to achieve bass that is articulate, fast and coherent while achieving the listener's ideal balance between overall soundstage dimensionality and image specificity. Only once I was able to nail down all the individual components of the changes wrought by the Variator was I able to balance all the necessary adjustments and optimize the Perikles' performance in my room. Until I did, it was like driving unfamiliar roads without a road map. Lest the reader be turned off by the complexity of the Variator, I'm almost certainly making it sound more complicated than it really is. Once you understand what's going on, it's not very difficult to use but also makes the Perikles one very adaptable loudspeaker. And while Hørning recommends corner placement, I found that I was able to achieve an outstanding level of performance with my customary placement, which is well away from the corners on the long wall in my room. Corner placement would net me a little more bass extension and slam but that's a trade-off I accept in favor of a wider and more focused soundstage. of the reflected propagation. It also makes sense that setting the speakers up on a carpeted as opposed to a hardwood floors would change the nature of the reflected output at the speaker's bottom, though all my floors are carpeted and I wasn't able to experiment. The good news is that once all these variables are accounted for and tended to, the Perikles are an uncommonly easy-to-live-with speaker. You can drive them with almost anything and yes, they are a crystal clear window on all the upstream components in the chain. So transparent is the Perikles that you'll easily hear any changes made to the system, be it in amplification or sources. You'd better like what you have but at the same time, there's nothing about the Perikles that will exacerbate any shortcomings. I've used these speakers with just about everything I've had in the house over the course of the last two years, with only slightly varying degrees of success. I've not mated them with anything that I would feel the need to warn potential buyers about. While they are clearly intended for use with relatively low-wattage tube amplifiers, they get along reasonably well with the Musical Fidelity A5 integrated and the Bel Canto Ref 1000 solid-state amplifiers and it could even be said that they bring out some of the best qualities of good solid-state amplification as they remain musically transparent and dynamically nimble in the process.